If you follow K-pop like me, you'll be familiar with the certain looks that these stars have - it's a part of their 'image. Sometimes this image stays the same, or changes over time depending on their concepts. For example, looking at one of my favourite girl groups SNSD, also known as Girls' Generation, they started out with a cutesy, dolly, innocent image and as they matured their styles became more classy, sophisticated and elegant as well as the musical styles. Being a fan of theirs from my high school days 'til now, I feel as though I went through that growth and maturity phase like they did and being similar in age, I can certainly relate and see them as my idols/role models. I feel like their style is my style, so every now and then I like to check out their outfits worn at premiere events, fashion shows, photoshoots and even the outfits they wear to the airport. Not only do I take notice of their outfits but also their hair, makeup, jewellery and accessories. They inspire me so much that I've decided to share 3 jewellery trends that I've noticed on the girls and also on those around me. The following items for each of these trends features some very affordable pieces that you can easily add to your collection - styling on a budget! When I think of floral, I get reminded of spring and summer. 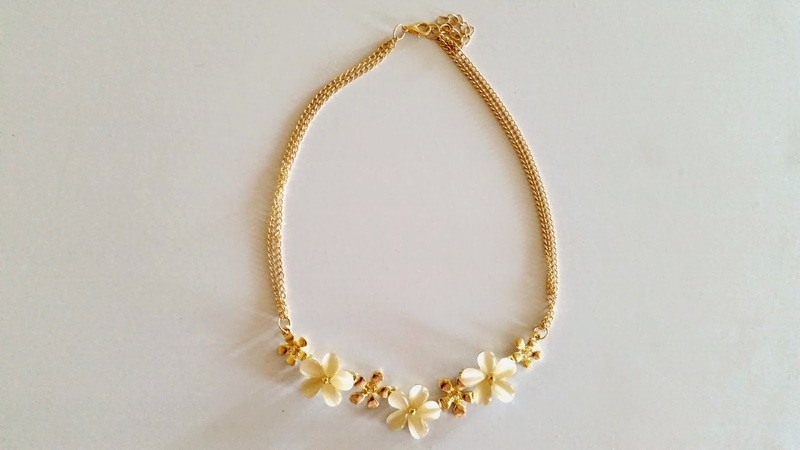 Yes we do see flowers more in these seasons however for jewellery pieces, floral is great to wear as a pattern or a design all year round. In moderation it's quite pretty and when worn to complement an item/outfit rather than take over and be the centre of attention, it gives a nice finishing touch. I love how the flowers aren't too over-the-top with a simplistic design of alternating big and small flowers. 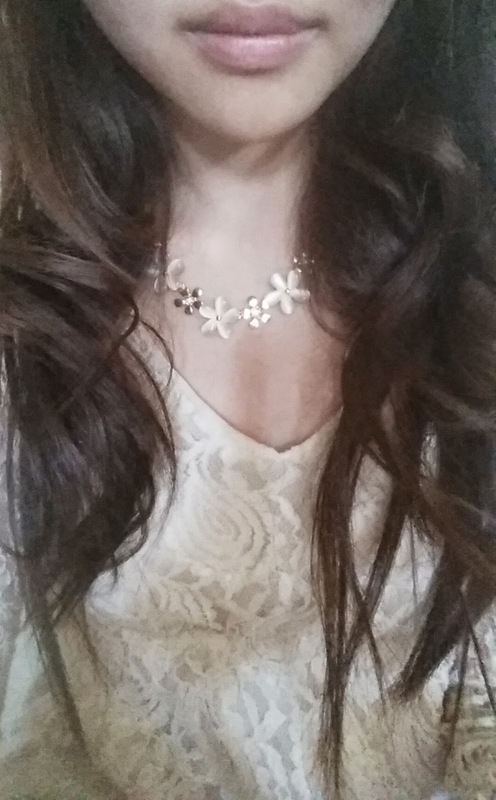 The piece sits really nicely on the decolletage area and I think it looks great with a lovely lace top/dress. I find the double chains to be quite a unique and I reckon it makes the necklace look less fragile and more weighty without it actually being so. Pretty good for something around $5! Beautiful, bright round pearls... there's just something so classy about them, whether it's one pearl on its own or a cluster of them. And I think that a female wearing pearl earrings, a pearl necklace, a pearl ring and a pearl bracelet would look perfectly normal to me! 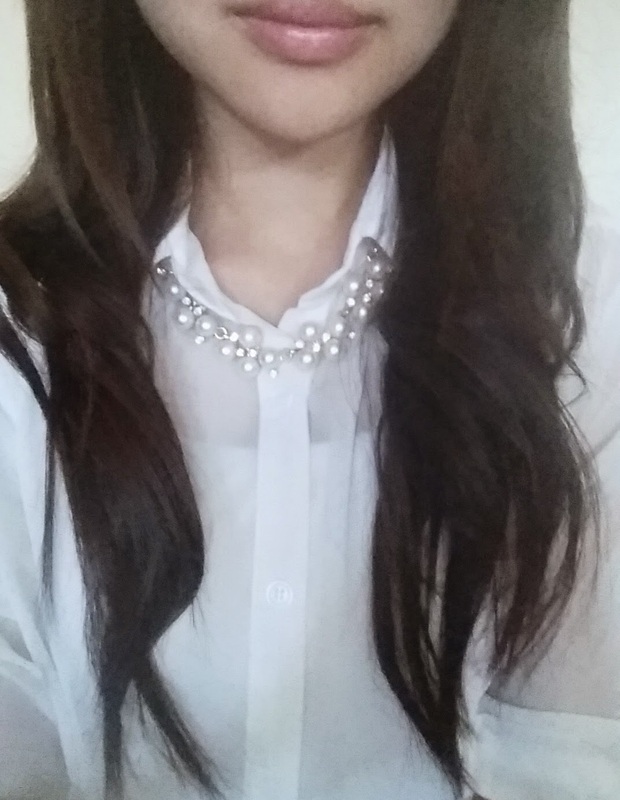 You can never have too many pearls (okay maybe it'll look odd if you layer it on too heavily - moderation is key). Ah Jessica, I miss you! 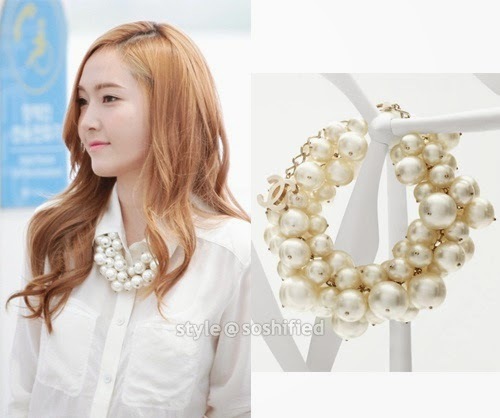 SNSD's Jessica (to me she's still a member) once wore this chunky pearl cluster necklace from Chanel (I don't know the actual name of the necklace) with a white collared shirt and she looked so chic! I absolutely love her simplistic yet elegant style and I find that whatever she wears is in such good taste. No wonder she's becoming a fashion designer - she's a true fashionista after all! I wish her all the best with her career in the fashion industry. Unlike Jessica's, this is a flat-cluster rather than a 3-dimensional cluster which would appear more bulky/heavy. 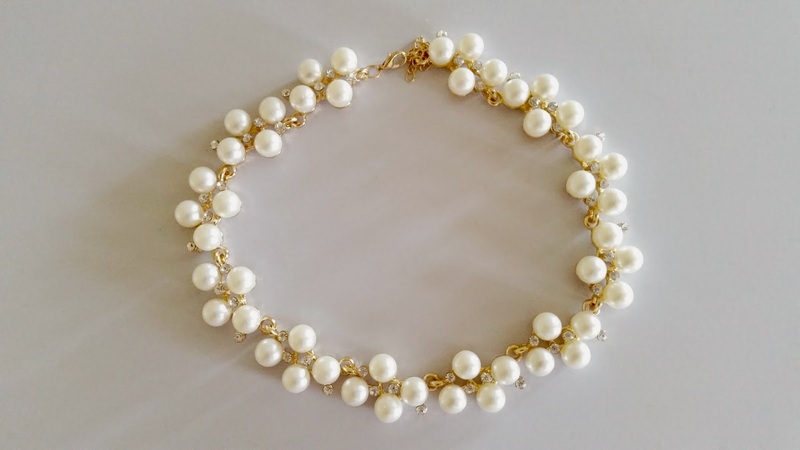 This one drapes nicely around my neck and I like how the gold chains peek through the pearls to give that white and gold look. Also those small rhinestones in between the pearls add a touch of sparkly-ness. Speaking of rhinestones... guess what the next trend is? Aka bling-bling! I love sparkly jewellery and accessories and for me it doesn't necessarily have to be derived from particular stones or crystals as I'm also a fan of the more affordable man-made kind. Sure the 'real' stuff is more luxurious and precious but what matters is most to me is its overall look! Rhinestones and diamantes can be just as sparkly for only a fraction of the price. This trend will always stay relevant. Could fool anyone with this rock on my ring finger! I still can't get over the price and how something for affordable looks very much like a actual diamond/engagement ring. Anyway enough about that, moving onto its style. 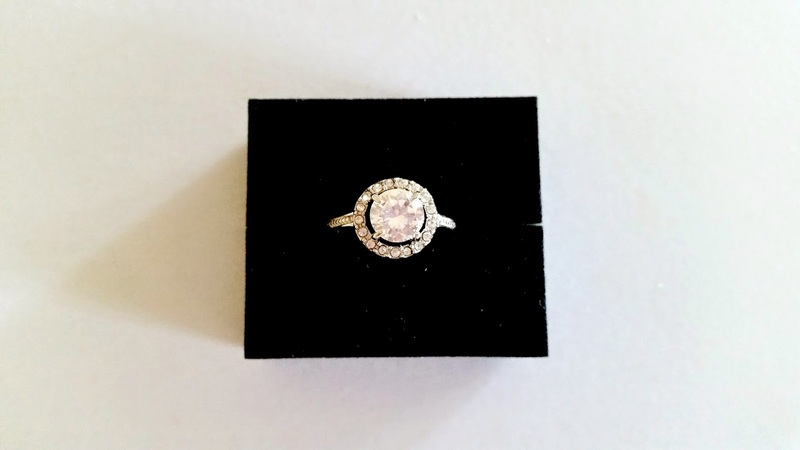 Yes I know that it can be a little too bling-bling for an average girl who is not anywhere near the engagement phase yet (like me) but a way to avoid any questions is to simply wear it on the middle or index finger. That way it'll look like a dressy/cocktail ring and no one will misunderstand. I find this halo, cushion cut style very classic and vintage-like. 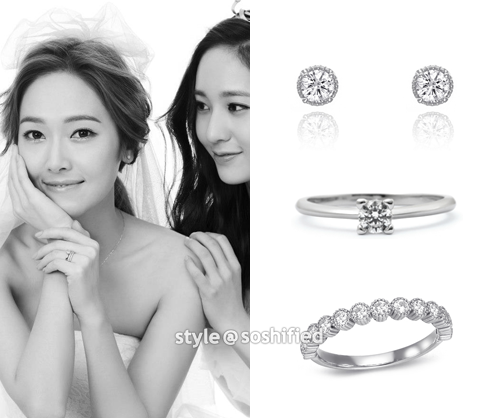 I adore this style on earrings as well, similar to the ones endorsed by the Jung sisters above. Now I haven't thought about what type of engagement ring I'd want but for those who do know or specifically, ladies who've got an engagement ring (lucky ducks), having a 'cheaper' one to wear everyday can be a safer option for you. We all know how costly these rings can be and the thought of losing one is almost unbearable, so why not wear an imitation of the real thing to keep the real thing stored away safely? No one will even know and if it gets lost, it's better than losing the actual ring, hey! 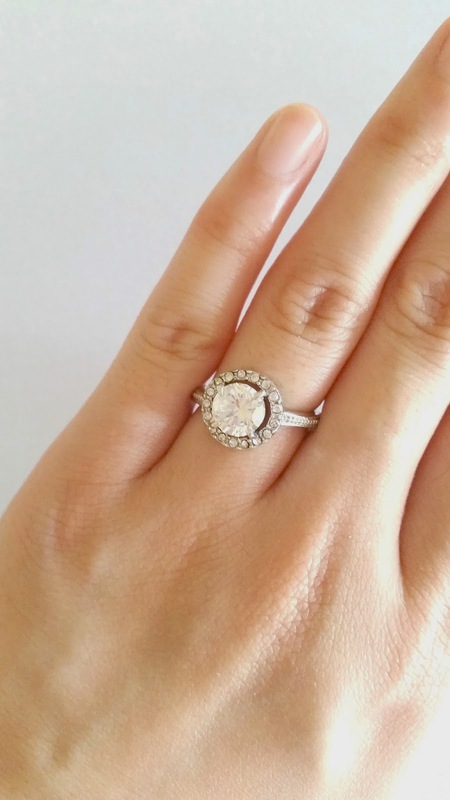 So ladies, if you've got a halo engagement ring similar or the same as this one, you could consider getting it for yourself to wear instead, especially if you're feeling paranoid about it going missing, because I know I would. Which of the 3 jewellery trends is your favourite? Or do you have any to add to this list? I love anything that's sparkly so my favourite is the rhinestone/diamante trend! Disclaimer: Products were provided for consideration. This is not a sponsored post with monetary compensation, nor am I affiliated with any of the companies mentioned in this post. All opinions stated by me are 100% honest and are free from bias. For full disclaimer, see http://www.questjen.com/p/disclaimer.html. No one knows this (hope my beau doesn't google me!) but the engagement ring I wear daily is a fake. I may have ordered a couple of fake ones. My real one I only wear for special occasions. A colleague was killed for his phone near work (he was pushed and hit his head) so I'm extremely cautious about wearing anything of value in that area. Oh thanks I'll be sure to check it out on eBay!